Programmer, father, husband, avid reader, author, occasional speaker at technology conferences and Seinfeld fanboy. Senior member of ACM and loves spending time with his beautiful family. Passionate about technology and open source, loves functional programming, and has been trying to learn math and machine learning. Authored 2 books - (a) DSLs In Action published by Manning in December 2010 and (b) Functional & Reactive Domain Modeling (upcoming summer 2016 from Manning). 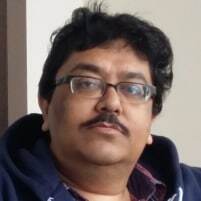 Tweets at @debasishg, blogs at Ruminations of a Programmer.